The 29-year-old was among six abducted at the resort. One of Mexican drug lord Joaquin “Chapo” Guzman’s sons was among a group of people abducted from a restaurant in the Mexican tourist resort of Puerto Vallarta, the state attorney general said on Tuesday. Jalisco Attorney General Eduardo Almaguer told a news conference that one of Guzman’s sons, Alfredo, 29, was among six people abducted by armed men from an upscale eatery in the heart of the Pacific resort town early on Monday. “The person ... is the son of Joaquin Guzman Loera, and has been identified through [inspections of] vehicles and by security agencies, as well as through expert opinions,” Almaguer said. Puerto Vallarta, in the state of Jalisco, is one of Mexico’s top vacation destinations, attracting all-inclusive tourists and high-end sun seekers to its beaches. 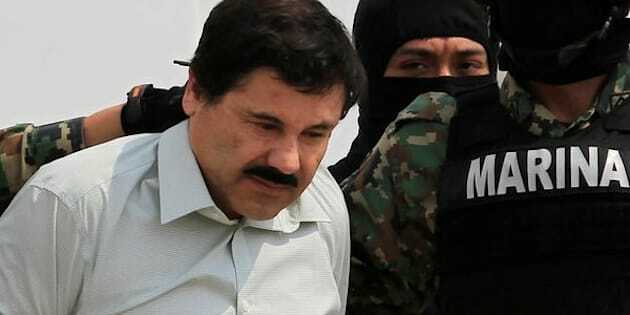 Guzman was the head of the Sinaloa cartel and one of the world’s most wanted drug kingpins until he was captured in January. Six months earlier, he had broken out of a high-security penitentiary in central Mexico through a mile-long tunnel. Jalisco, which lies south along the Pacific coast from Sinaloa, is home to the Jalisco New Generation cartel, which has become one of the country’s most powerful drug gangs in recent years. In 2008, another of Guzman’s sons, Edgar, was murdered in a Sinaloan shopping mall by hitmen hired by the Beltran Leyva drug cartel, sparking a war with the Sinaloa Cartel.